ARE YOU A DISCERNING & POSITIVE THINKING PERSON? YES, YOU CAN HAVE THE BEST OF BOTH WORLDS. 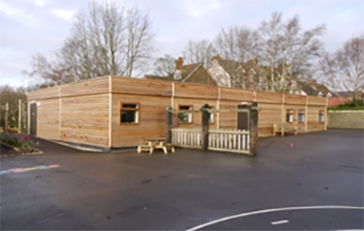 We supply within weeks, comfortable, sustainable buildings, so call us or complete the enquiry form and tell us your problem and how we can help. Rolls-Royce Motor Cars Ltd, SGN Gas Networks and some others include a day nursery, under fives Church school, camping centre reception/sales, electronics assembly workshop, Nature Reserve staff facilities, Stansted Airport offices, show-dog grooming business, offices for a metal finishing company. Are you running out of space? It's time to contact us, as we create space. Reliable service from enquiry to hand-over. 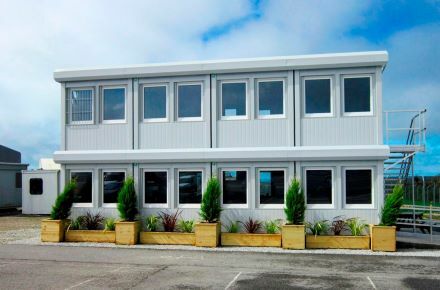 Our buildings solve space problems for less outlay, providing a modern, light and airy environment. 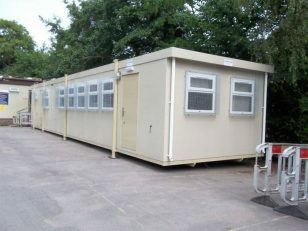 Designed for available space, budget and timetable. Competitive and cost cutting pricing. 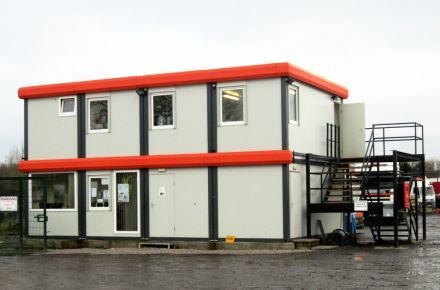 Quality affordable buildings within a few weeks. With design agreed, we send drawing and a lower than expected price and if agreeable, production and delivery will be arranged on time on budget. 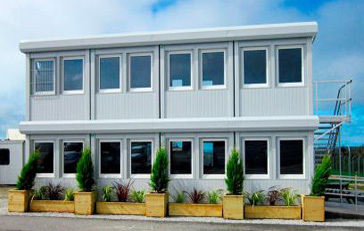 Finance your new building with an arrangement through our specialist. Various exteriors including Plastisol coloured steel. 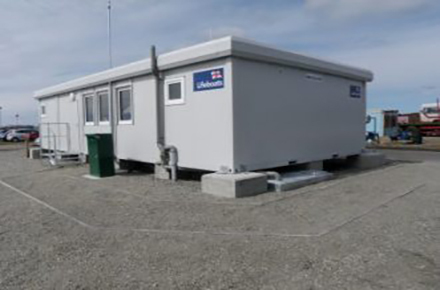 Fully insulated walls, floor, roof. Power sockets & data outlets. Convector heating or air conditioning. UPVC windows including steel roller shutter version. Planning either unnecessary or simply obtained. We can assist or provide a fee based service. Almost every week, we are asked to quote for new applications. 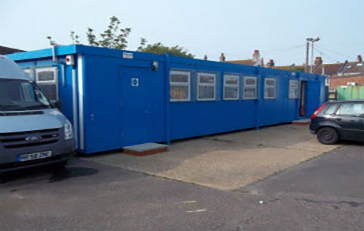 Conforms to Building Regulations as and when applicable. The rapid answer to space problems needing simple pad foundations. Various lengths and widths, single or two storey, can be connected. Robust construction, exteriors of coloured steel, texture, timber, UPVC windows, steel doors. 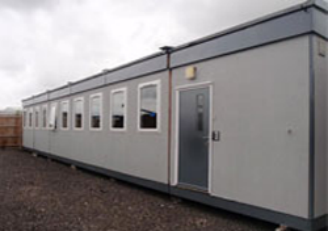 Fully insulated, vinyl faced linings, partitioning to required plan. Lighting, sockets, data points, heating, vinyl or carpet, washrooms and kitchens. 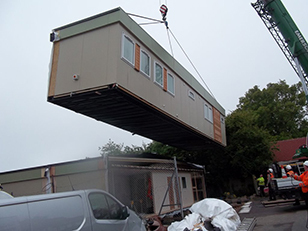 Conforms to Building Regulations as and when necessary. Profiled fluted or flat steel bodies. Same inclusions as for our PRESTIGE CABIN UNITS. 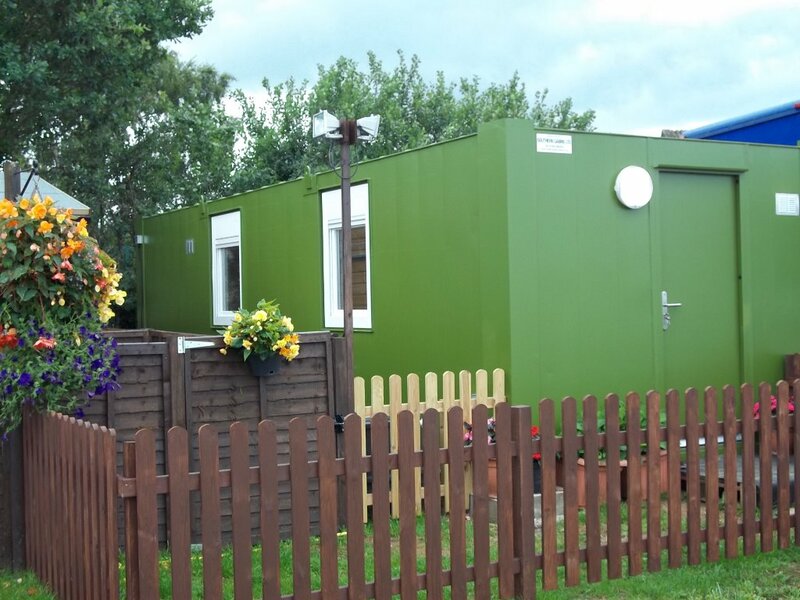 A superb range of quality modular buildings providing more open plan areas. 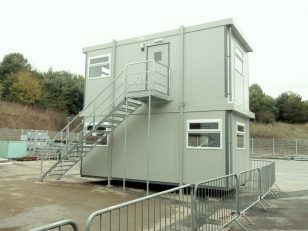 Single/multi-storey maximising space available, design flexibility fully bespoke. Various claddings including brick, so building blends in perfectly with surroundings. Various linings, floor finishes, ceiling heights, elegant windows & roof styles including tiled pitched. Low energy lighting, emergency lighting, sockets, data points, alarms, heating or air conditioning. 95% factory built with comparable appearances to traditional build. Most items in traditional build, can be installed in the Classic, many thought impossible. The very latest internal fixtures & fittings. Less capital outlay, less site time, faster occupation. Turn-key projects. Experience the quality for yourself. 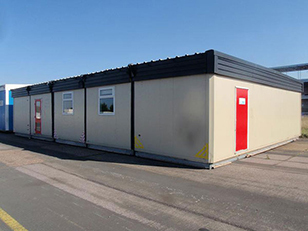 Europe's leading all steel modular building from Austria. 100% factory built, design flexibility, durable and cleverly combining quality with value. Rapid install on pads or strip foundations. Up to three storeys. UK electrics, heating, air conditioning, upvc shuttered windows. Layout to client's requirements can include washrooms, kitchens, dining. 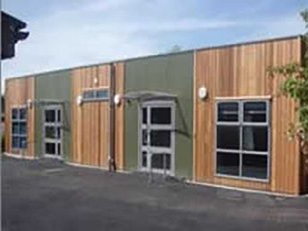 We can help arrange suitable business finance for your new building with an arrangement through our specialist. Ask us for more information. We provide a personal service from initial contact to handover. We can also advise on planning permissions, either unnecessary or simply obtained. On time by specialist transport. 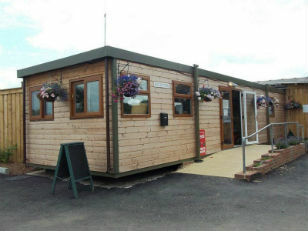 © [wpsos_year] Southern Cabins Limited. All Rights Reserved.